This is the most obvious and time-tested choice. Bringing in an outside firm or consultant to handle your IT systems can provide the benefits we’ve mentioned — particularly in the sense of enabling you to stay on task and not get diverted by technology’s constant changes. A competent provider will stay on top of the latest, optimal hardware and software for your business, as well as help you better access, store and protect your data.
. These areas are subject to many complex regulations and laws that change frequently — as does the software needed to track and respond to the revisions. A worthy vendor will be able to not only adjust to these changes, but also give you and your staff online access to payroll and HR data that allows employees to get immediate answers to their questions. This may seem an unlikely candidate because you might believe that, for someone to represent your company, he or she must work for it. But this isn’t necessarily so — internal customer service departments often have a high turnover rate, which drives up the costs of maintaining them and drives down customer satisfaction. Outsourcing to a provider with a more stable, loyal staff can make everyone happier. You could bring in an outside expert to handle your accounting and financial reporting. A reputable provider can manage your books, collect payments, pay invoices and keep your accounting technology up to date. The right provider can also help generate financial statements that will meet the desired standards of management, investors and lenders. Naturally, there are potential downsides to outsourcing these or other functions. You’ll incur a substantial and regular cost in engaging a provider. It will be critical to get an acceptable return on that investment. You’ll also have to place considerable trust in any vendor — there’s always a chance that trust could be misplaced. 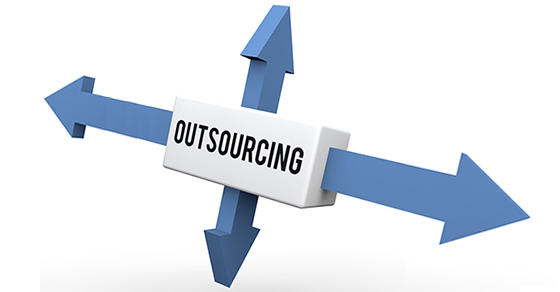 Last, even a good outsourcing arrangement will entail some time and energy on your part to maintain the relationship. Is this the year your business dips its toe in the vast waters of outsourced services? Maybe. Our firm can help you answer this question, choose the right function to outsource (if the answer is yes) and identify a provider likely to offer the best value. Sign up for our email newsletter and get the latest news sent straight to you. Questions? Need assistance? We can help!